Intel has rejected a reported finding that its clever controller algorithms that deliver terrific write I/O performance on its X25-M solid state drives actually contributes to them slowing down over time. The issue is fragmentation. The Intel controller combines many small file writes, smaller than the X25-M's block size, into a single larger one thus avoiding unnecessary block erase/write cycles. To avoid the flash wearing out through repeated writes, its wear-levelling algorithm avoids concentrating writes on particular cells by re-mapping the physical cells into logical ones and progressively moving around the flash cells, such that logical flash cell zero isn't necessarily physical flash cell zero. The PC Perspective reviewer, trying to duplicate real world use of flash, found that the X25-M's write speed declined substantially over time. He reckoned that Intel's controller algorithms and cell remapping means that a host PC/server O/S cannot see fragmentation on the X25-M and so cannot deal with it; only the controller can, and it doesn't do at all well over a longish period. The drive eventually achieves a kind of steady state fragmentation. The result is that: "We found that a ‘used’ X25-M will always perform worse than a ‘new’ one, regardless of any adaptive algorithms that may be at play. We also found that in some cases, the drive would drop to significantly below manufacturer specs." The specc'ed 70MB/s write speed can drop to 25MB/sec or even lower. 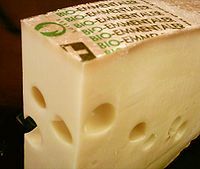 The reviewers tried to use Windows' defragmentation utility to fix this problem, but "running the Windows defragmenter on the X25-M would rapidly Swiss Cheese the crap out of it, defeating the purpose entirely," turning it into the X25-emmental we guess. Intel says it has not been able to reproduce these results which are, obviously, detrimental to the X25-M's prospects. Its statement said: "In our estimation, the synthetic workloads they use to stress the drive are not reflective of real world use." It admitted that some slowing of performance should be expected as drives, whether spinning disk or flash memory, get full, but nothing like the PC Perspective finding. Intel is talking to the reviewers to understand their methodology and see if a firmware update for the X25-M will be necessary.